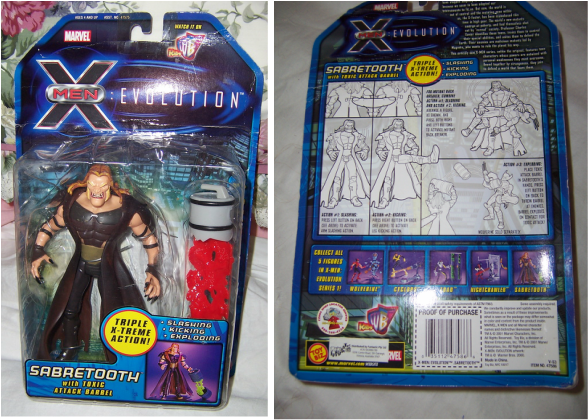 Sabretooth is a triple X-treme action figure. He can slash, kick and explode according to the box. The instructions on how to work these type of actions are on the back of the original box. He comes with a toxic attack barrel. There are 5 figures in X-Men Evolutions Series 1 to collect. DO YOU NEED THIS ONE FOR YOUR COLLECTION? 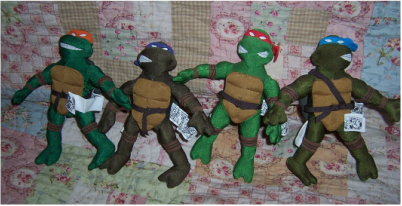 These 4 soft TMNT toys appear to be almost like new. They each have their cloth tag to their bodies, and also have a tag which has a small part of a cartoon on it as well. They would be ideal to take on holidays, on a plane, car, train to keep the children occupied as they are very light and cuddly to take to bed. 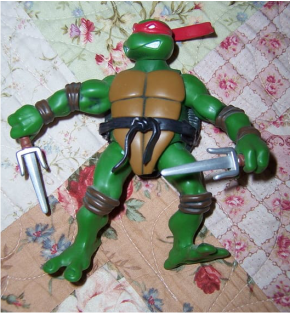 TMNT Raphael (Raph) is one of the four main characters in Teenage Mutant Ninja Turtles - TMNT. He wears a red mask, and his weapon of choice is a Sai (sharpened fist held knives) in each hand. Raphael is in good condition. He has firm joints, and can be put into many different positions. He has - Playmates 2002 - on the base of his foot. He comes with his weapons of choice (Sai knives x 2) which are usually lost. 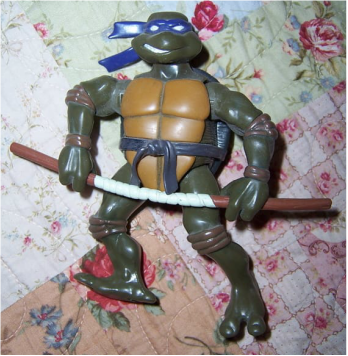 TMNT Michelangelo (Mike/Mikey) is one of the 4 main characters of the Teenage Mutant Ninja Turtles. He wears an orange mask, and is weapons of choice are nun-chucks. 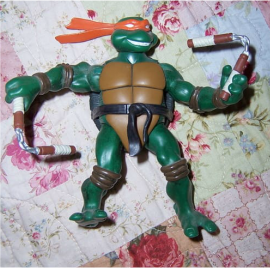 Michelangelo is in good condition. He comes with his two nunchuck weapons which are usually lost. TMNT Donatello (Don/Donnie) is one of the four main characters in Teenage Mutant Ninja Turtles - TMNT. He wears a purple mask, and his weapon of choice is a bo-staff stick. Donatello is in good condition. He comes with his weapon bo-staff stick which is usually lost. 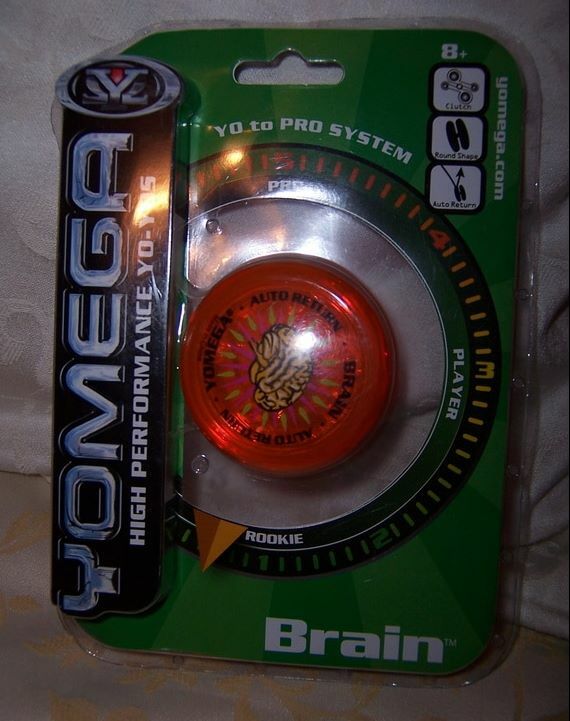 This Yo-Yo from Yomega called Brain is still in its original packaging and sealed, and has a brand new spare string as well. It has never been used as a play toy. It is orange in colour with a picture of a brain on one side and clear on the other side to enable you to see the workings of it. 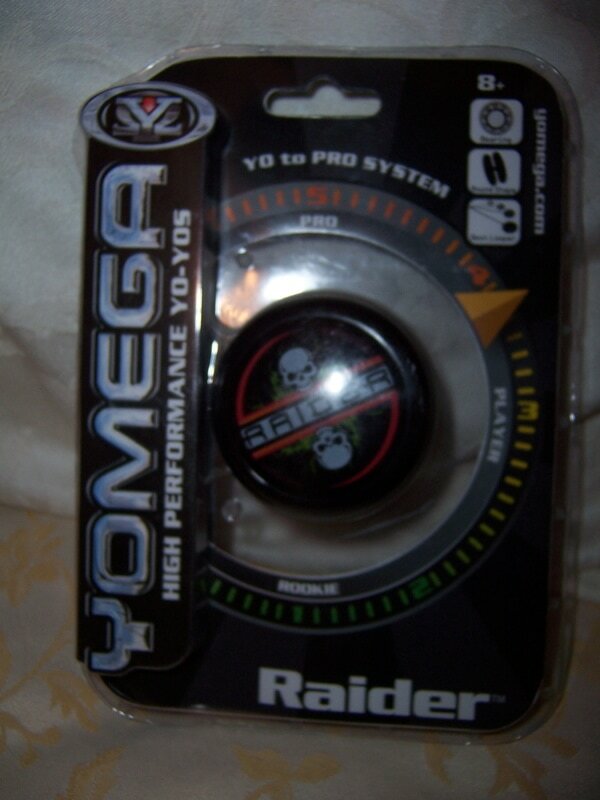 This Yo-Yo from Yomega called Raider pro rookie is still in its original packaging and sealed, and has a brand new spare string as well. It is black and red in colour with a picture of a skull on both sides of it. Fast Eddy McDonald is a Guiness Book of World Records holder. He was sponsored by Yo-Yo company Yomega and travelled around the globe performing his tricks for audiences as he attempted to set new world records. 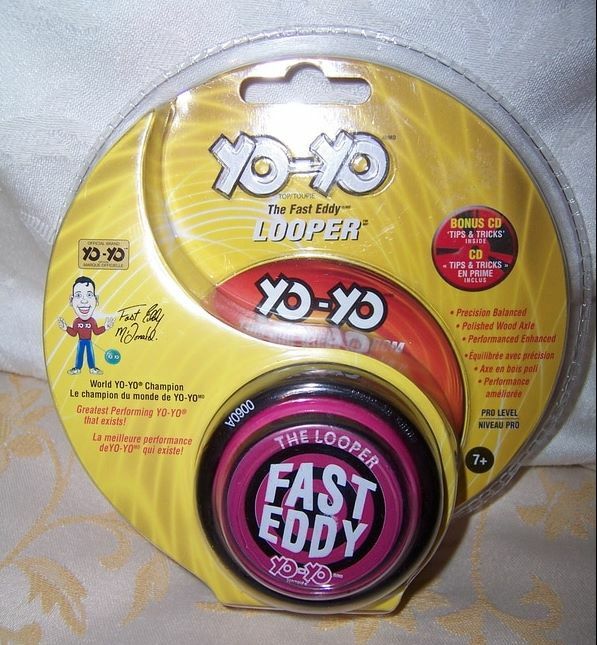 This Yo-Yo is called ''The Looper Fast Eddy'', and is in its original packaging and sealed. It is purple and bright pink in colour .